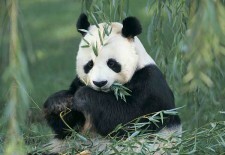 The Giant Panda (大熊猫 Da Xiongmao) is one of the world’s rarest animals in the world. It is known as “national treasure” in China. Covering with the black and white fur on body, the Giant Panda is cute and lovely. It is a must see site in Chengdu. The Leshan Giant Buddha (乐山大佛 Leshan Dafo) is a 71 meter high sculpture carved into one of the large cliffs by the river. It is the biggest stone Buddha statue in the world and listed in UNECO World Heritage site. Our Chengdu Leshan Giant Buddha tour with Chengdu Panda Base will take you to visit both of these fantastic places with affordable price in a shared coach. Apr to Nov: Wed, Fri, Sun, departure with min 2 pax confirmed and paid (If tourists less than 5, an extra cost RMB80/person will be charged). Dec to Mar: Tues, Wed, Thur, Fri, Sat, Sun, departure with min 2 pax confirmed and paid. (If tourists less than 5, an extra cost RMB80/person will be charged). 1. Pure sightseeing tour; no shops in the trip. 2. Visit the Giant Pandas and the Leshan Giant Buddha in one day. 3. English-speaking tour guide and air-conditioned vehicle. 4. Free pick up from hotel and drop off at the Tianfu Square in city center. 5. Free drop off at Leshan bus station where you can take public bus to Emeishan Mountain. 7:00-8:00am: Pick you up from hotel in downtown Chengdu City. 8:30-11:00am: Visit Chengdu Research Base of Giant Panda Breeding(成都熊猫基地). It is a non-profit organization engaged in wildlife research, captive breeding, conservation education, and educational tourism. Red pandas, golden monkeys and other wild and endangered species also live and breed here. 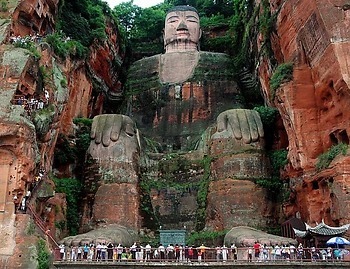 11:00am-1:00pm: Drive to Leshan Giant Buddha. It is 160 km from Chengdu City and 2 hours’ drive. 1:00-2:00pm: Lunch time, lunch cost is on your own. 2:00-4:00pm: Visit Leshan Giant Buddha(乐山大佛). The Giant Buddha is a statue of Maitreya in sitting posture. It is 71 meters tall cut from the cliffs facing the distant Emei Mountain, the 400-year old world wonder is a sight to behold. The Buddha was included by UNESCO on the list of the World Heritage Sites in 1996. 4:30-6:30pm: After Leshan Giant Buddha tour, drive back to Tianfu Square in city center of Chengdu, or we can also drop you off at Leshan Bus Station where you can take public bus to Emei Moutain (optional RMB25/person). 1. Travelers will be picked up from your downtown hotel Chengdu around 7:00 a.m.-8:00 a.m. We will contact you to confirm pick up information before 11:00pm on the day before your scheduled tour. Please call Peter on +86 178 1320 5162 for any urgent matters. 2. We accept payment via PayPal before your traveling date, or pay cash when pick up, both USD and RMB are acceptable. 3. We arrange visiting Giant Pandas in the morning when they they tend to be active early morning. 4. There are 2 ways to visit the Giant Buddha, by walking into the park and river cruise. The climbing up the mount allows you to see the Buddha closely; the river cruise lasts about 20-30 mins for you to see the panorama Buddha. We usually take you to visit it by walking, if some visitors want to visit it by boat please discuss with our tour guide. 5. We pick up travelers from places within the Second Ring Road of Chengdu. Those who stay beyond this area need to take a taxi to our designated hotel. Please consult our trip advisor if you are not sure if you hotel is within our reach. 6. We can drop you off at Chengdu Shuangliu International airport at extra cost CNY100 per time. 7. You clothes and shoes should be adapted in line with weather condition in Chengdu. $90 per person. Guaranteed departure when confirmed. 1. Giant pandas like to play outside in cool weather. But in summer time, pandas like to stay indoors to avoid the summer heat. 2. The best time to visit the panda base is between 8:30am–10am when they tend to be active. 3. In the base you can not only see baby and adult Giant pandas, but also Red Pandas, Peacocks and Black Swans. 4. 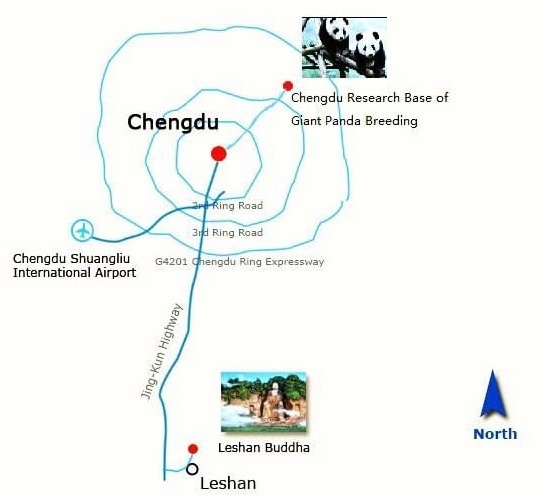 The Panda Base is 10 km away from Chengdu downtown and 30 minutes drive. 1.The statue is 71 meters high and 28 meters wide, 100 hundred people can sit on its lap. It is the tallest Buddha statue in the world. 2. The statue is carved out of a cliff by Min River. It is the largest symmetrical Maitreya Buddha sculpture in the world. 3. The Buddha was carved from 713 AD and completed in 803 AD. The construction of the Buddha was the idea of a Chinese monk Haitong, who hoped the Buddha slow down the water flow. 4. On the right cliff of the Giant Buddha, there is a plank road called Nine Bends Plank Road. From the top to foot, the plank road has nine turns and 217 stone steps in total. 5. Leshan Giant Buddha was listed as the World Heritage Site by UNESCO together with Mount Emei in 1996. 6. It is 150 km from Chengdu and 2 hours drive. The Panda/Giant Buddha Tour is available on both 26/08 (Tue) and 28/08 (Thu). We will pick you up from your hotel (within the second ring road) in Chengdu City and drop off at Tianfu Square in city center. The tour guide will confirm the pick-up time with you in the evening before the tour day. This is Peter Wang, sales manager of INTOCHINATRAVEL.COM. The “Chengdu Panda & Leshan Giant Buddha Day Tour tour” is available on April 9, 2015. We will pick you up from Holiday Inn Express Chengdu Wuhou and drop all guests off at Tianfu Square in city center (5km from your hotel), The tour guide will confirm the pick-up time with you by calling to the hotel one day before the tour. I would like to inquire about your Chengdu Panda and Leshan Buddha Tour (Tour Code: CDC01) for Saturday, October 3rd, 2015. I am wondering if you have availability for 2 people for this day? can arrange private tour for you if you like. Hi! I’m planning to go to Chengdu on OCt 27, Thu. 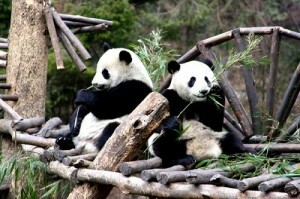 Is there schedule for the join-in tour to Panda Breeding Center + Leshan Giant Buddha that day? Also, what is the minimum number of participants in your join-in tour to push through with the tour? When do you cancel tour schedule? Is there a refund if that happens? The tour is available on Thu, Oct 27. This is a guaranteed departure tour, so no matter how many participants, we will arrange the tour. You can just pay when our tour guide pick up from your hotel. So you are risk-free. Please let me know which hotel in stay in Chengdu. Our tour guide will call your hotel or leave a message in the evening 26 Oct to let you know the pick up time. my family and i are planning to go to Chengdu on 10Sept to 13 sept 16. Is there schedule for the tour to Panda Breeding Center + Leshan Giant Buddha? How many days in advance would you inform us on any cancellation and vice versa if in any unforeseen circumstances we have to cancel the tour schedule? Is there a refund if that happens? Thanks four your inquire. The tour is available on Tue Thu and Sat. You need full day to do the tour. advance, so there is no risk for you. 2) we also want to take a picture with the panda. Your hotel is out of our reach, you can either go to our designated hotel in the city yourself or we can also arrange a car to pick you up to join the group at cost RMB150. Dujiangyan Center allows photoing and hugging Panda, the fee is expensive at RMB1800 per person. But our group tour will not go to this panda center. If you want to do that you can only have a private tour.